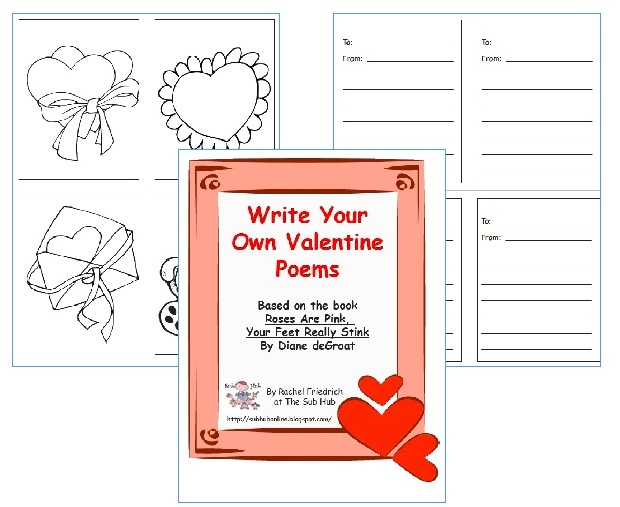 I have planned ahead for you and made a quick little Valentine poetry writing freebie. Read a book, and the students write poems that follow the pattern. 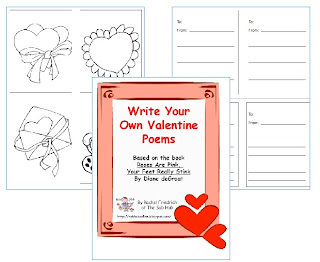 Free printable cards are included for students to make their own Valentines. If any of your visitors are interested I found this site last night that has a neat message in a bottle poem. I think that is a great gift for the parents.